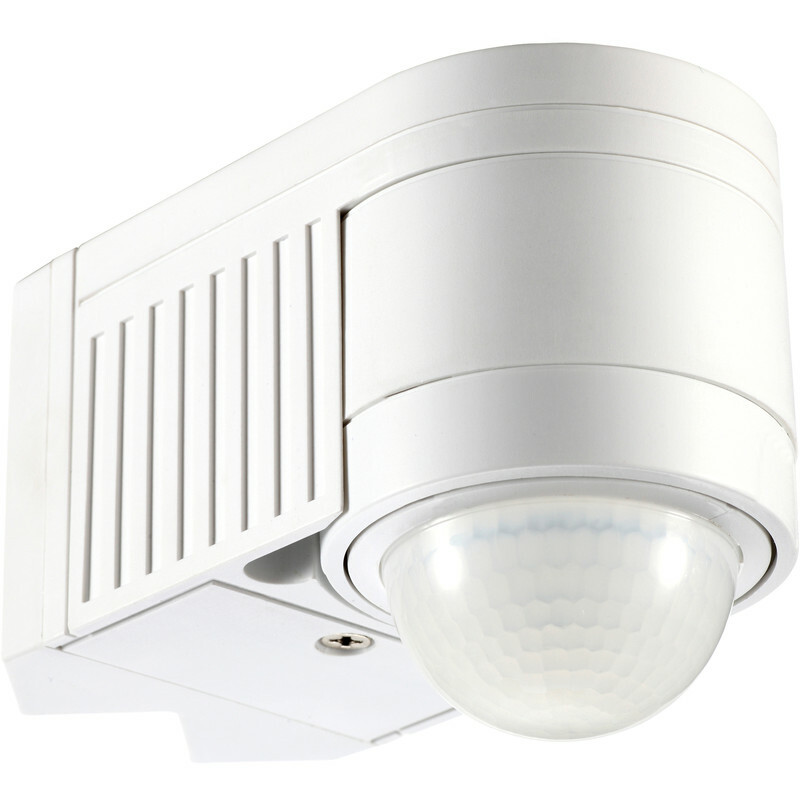 360° Corner Mount PIR Sensor White is rated 4.0 out of 5 by 22. Rated 1 out of 5 by Bobbie Joe from Not recommended Despite numerous attempts to get this to activate properly it seems to just turn the light on randomly - all through the night with no-one or anything about. The best thing aboutt this is the method of fixing and connecting - both very easy, but once you have done this the problems start. It's a shame as it is a really good looking unit - if only it worked properly! Rated 4 out of 5 by Woodworker34 from Fiddly to wire up Bought this in Feb 2019 and wired into garden lights and security lighting. However, the pigeon English instructions are rubbish. For example , the explanation of how to switch unit to photocell only function is incorrect. Timer works OK, but the movement detection needs the SUN symbol, despite what the instructions try to say. Also no sensitivity control which could be a problem. Wouldn't buy another, because of this alone. Rated 4 out of 5 by Gray123 from Compact and Versatile Have 2 of these now, described as a corner mount but can also be flat mounted, 360 degree sensor with mask to restrict if required. Time and Lum setting adjustment but not sensitivity. Range can be a little limited, I found around 5 metres. Cable ingress also quite tight if using a couple of T&E connections. Rated 4 out of 5 by Erni from Great little unit I've used this unit before and found it to be very efficient and universal as it can be installed flat on a wall or on an outside or inside corner using the adaptor plate provided. The downside with Toolstation site is that the descriptions given for many articles including this are not descriptive enough, give us more, it would certainly aid choice and may even increase your sales! Rated 4 out of 5 by Bobthebuilder101357 from Works ok I does the job. Sensor is ok, could switch a big quicker though.